The Succulent Karoo is one of South Africa’s crown jewels, boasting an array of succulents, many of which are found nowhere else on earth. Adding to this marvel is the semi-arid area’s ability to support such a vivid array of plant and animal life. This globally recognised biodiversity hotspot faces extreme pressure from human activities like overgrazing, mining and the impacts of climate change. 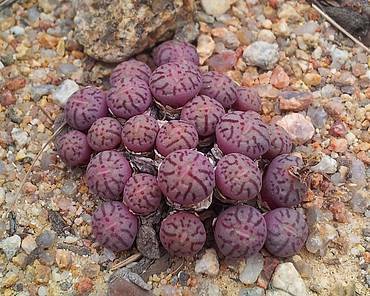 The Leslie Hill Succulent Karoo Trust aims to preserve, restore and conserve this landscape. 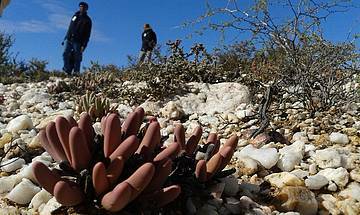 Stretching from Namaqualand in the west to parts of the Klein Karoo in the east, the Succulent Karoo boasts more than 6 000 plant species, 40% of which are endemic. It is also home to more than 250 bird species, nearly 80 mammal species, 132 reptile and amphibian species, and an unknown number of insects. If we don’t act to protect this natural heritage, we will not only lose this valuable diversity, but also our right to claim it as a South African jewel. 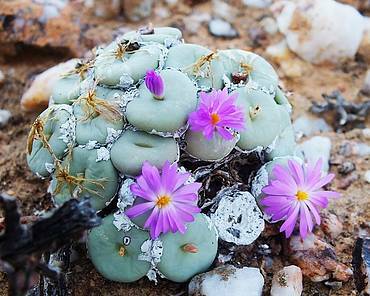 The Leslie Hill Succulent Karoo Trust (LHSKT) aims to protect and preserve indigenous plant species in the Knersvlakte, Namaqualand, Southern Richtersveld and Bushmanland. The Trust funds WWF to implement strategic conservation initiatives in the Succulent Karoo, particularly protected area expansion through various mechanisms, including acquisition of land for the creation and expansion of priority conservation areas. 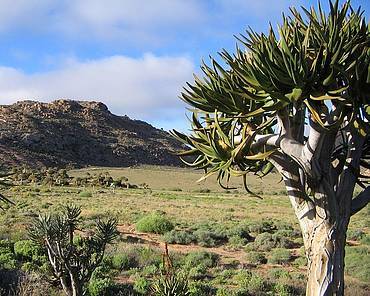 WWF South Africa, the sole beneficiary as well as the appointed administrator of the LHSKT, identifies land with high-biodiversity value in the Succulent Karoo in collaboration with the Trust, and works with various partners on stewardship programmes. Funding from the LHSKT has enabled WWF to contribute to the consolidation of existing protected areas and to be instrumental in developing new protected areas, including the Knersvlakte Nature Reserve and the Namaqua National Park. We work with national, provincial and local government, national and provincial conservation agencies as well as civil society organisations with similar interests and commitment to protecting this biological hotspot. 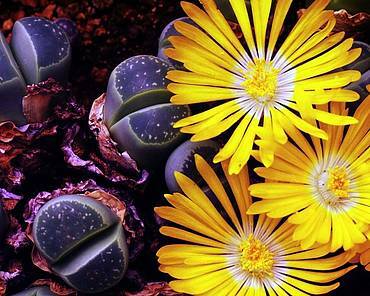 The Leslie Hill Succulent Karoo Trust was established in 1995 by its namesake, the late Mr Leslie Hill, who appointed WWF South Africa as the sole beneficiary of the trust. Upon his death Mr Hill bequeathed the residue of his substantial estate to the Trust. ​What are the big wins? The Trust’s funding has been instrumental in enabling WWF to secure 298 826 hectares of land for formal conservation areas in the Succulent Karoo, including the Namaqua National Park, the Knersvlakte Nature Reserve and several strategic stewardship initiatives. Providing information to help guide landowners on conservation issues such as alien plant control and erosion repair. Expanding protected area corridors through private/communal biodiversity partnerships that identify and support a regional, rather than national, approach to achieving conservation outcomes. Donate to our land work and help us protect key areas rich in biodiversity.